After serving 18 years for killing a man in a duel,a former gunman returns to his hometown determined to live a normal life, but the sons of the man he killed are bent on revenge. 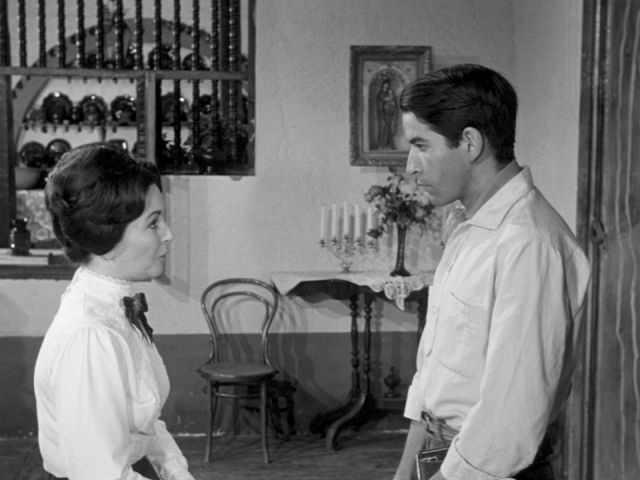 Gabriel Garcia Marquez and Carlos Fuentes penned Arturo Ripstein’s 1966 debut. 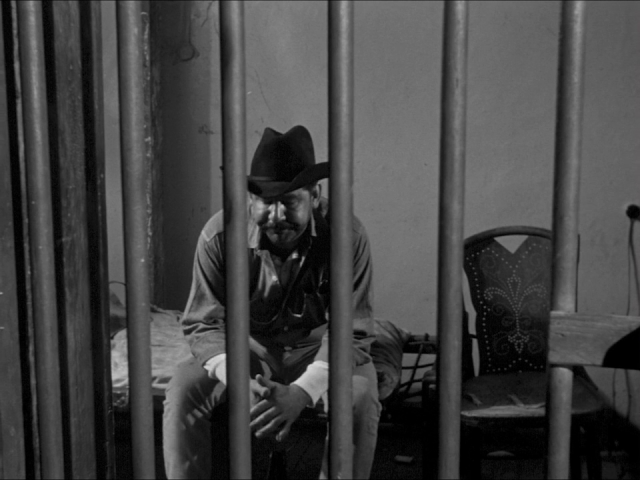 An elemental Western about inherited sins and the difference between honor and pride, Arturo Ripstein’s Time to Die follows a man who, having served 18 years in jail to pay for killing a man, finds the victim’s sons now believe he owes his life as well. Said to be the first produced screenplay by Gabriel Garcia Marquez, who wrote it with Carlos Fuentes, it was also the directing debut of Ripstein, who had just helped his father Alfredo Ripstein produce Luis Buñuel’s The Exterminating Angel. Finally seeing American release and beautifully restored, the involving picture is no museum piece; it should fare well as it tours through art houses, and not only thanks to its screenwriters’ fame. Those would be the two sons of the man Juan killed, the steely Julian (Alfredo Leal) and more amiable Pedro (Enrique Rocha). They were both boys when they lost their father, and we come to realize they know almost as little about the duel as we do; over the years, they’ve turned shreds of gossip into an unshakable belief that Juan somehow took advantage of Raul Trueba. Julian has practically lived for revenge, saying that he remained single and childless so he could engage in a duel without fearing the consequences. When he finds Juan out on the street and angrily tosses a gun at him, though, the older man wants nothing to do with him. He avoids the confrontation, leaving Julian to try to goad him over the coming days. 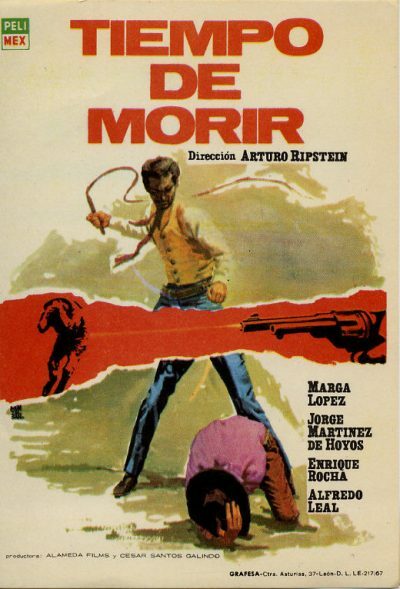 This stormcloud of promised violence (a precursor to Garcia Marquez’s novella 1981 Chronicle of a Death Foretold, in which two brothers plan to kill a man who has dishonored their family) hangs over the film, coloring every interaction Juan has with the loved ones he left behind. 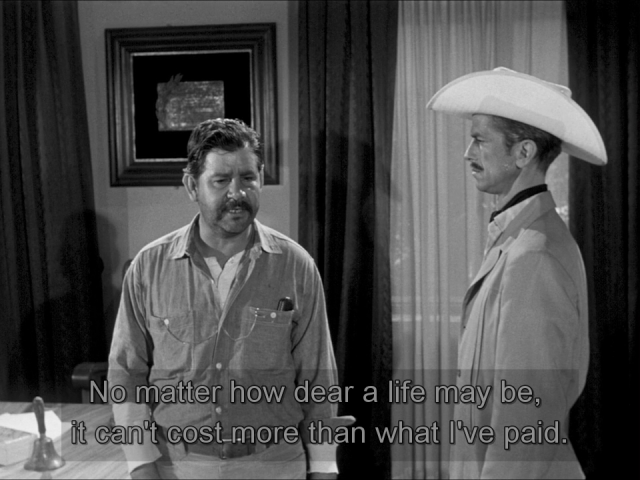 The pic doesn’t turn it into a ticking-clock drama, a la High Noon or 3:10 to Yuma. Instead, it is more of an open-ended contest of will: Can Juan resist the calls from those who care about him to leave town? Can his insistence that justice has been served win out against the wounded pride of two young men? Approaching middle age when he wrote the script, Garcia Marquez sympathizes with a hero whose masculinity has been tempered by time and imprisonment. 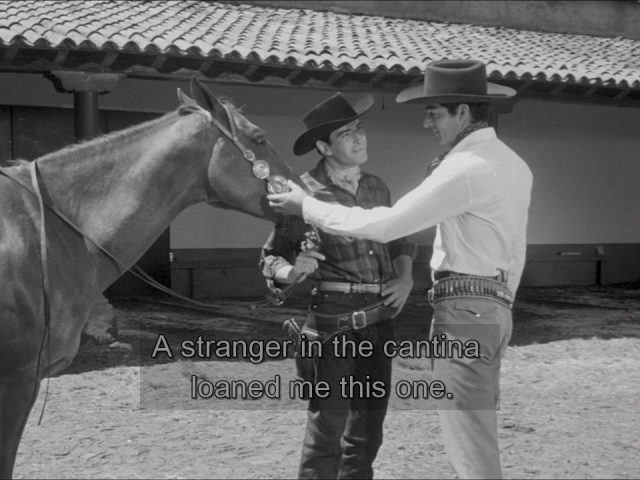 Though clearly capable in many arenas (at one point, Pedro is forced to marvel that he is a real man, “puro macho”), Juan lacks the calm defiance a similar character might show in a Hollywood picture: When threatened, de Hoyos actually cowers. Juan admits he is afraid, and the film adds to the poignancy by observing how he is seen by Mariana (Marga Lopez), his old fiancee. During his imprisonment she married, had a child, and was widowed; Juan hopes to reunite with her, but when he visits, she is formal with him. Later, she admits to a friend that she was so upset at the sight of him she could barely maintain her composure. Hoping to avert disaster, Mariana goes to Pedro’s girlfriend Sonia (Blanca Sanchez), hoping she can convince him to call off the threats. But the women are told it’s pointless to interfere with “men’s business,” which is governed by forces beyond reason. On a couple of occasions, the picture uses manipulated sound to show a character’s internal agitation. Alone in his father’s study and girding himself for a fight he has been urged to avoid, Julian hears his spurs and the clank of his gun as if he were alone in the bottom of a well. Elsewhere, a handheld camera emphasizes the uneasiness of lovers who haven’t seen each other in nearly two decades. But on the whole, sharp dramatization and direct performances suffice to put the story’s themes across more urgently than expected. Juan doesn’t want to die, but he can’t stand leaving the life that was put on hold for so long. We’re just as eager to see him live, even if all the ways he might do so look pretty bad.